When it comes to turn-based strategy games, it is clear that legendary designer Sid Meier’s Civilization series reigns supreme. After all, anyone who’s played the Civ games will have likely fallen prey to their addictive qualities and that “one more turn” compulsion. And the latest game in the series, Civilization: Beyond Earth, hit the shelves last year and unlike the award-winning Civilization V (arguably the best game of the series), it takes place on an alien planet. So instead of helping human settlers take over Earth from the stone age to the Internet age, Beyond Earth focused on dealing with insect-like aliens, other human factions like the Slavic Federation and researching all sorts of futuristic technologies. It’s a game that by its nature wasn’t as appealing as Civilization V (or its console iteration Civilization: Revolution) mainly due to the lack of familiarity. 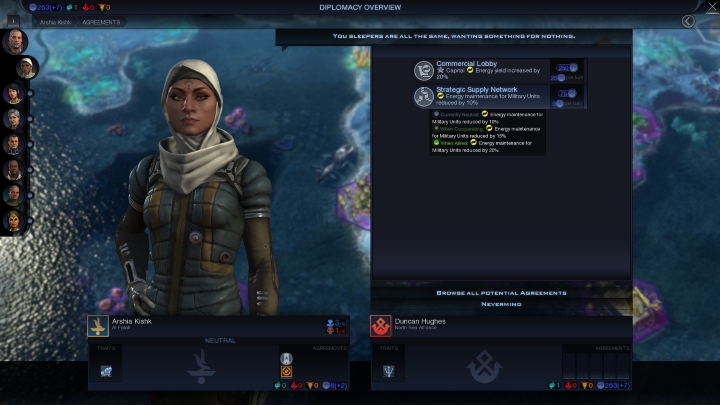 Playing as Suzanne Fielding of the American Reclamation Corporation on an alien world was not as exciting as conquering your foes as Genghis Khan of the Mongols on Earth, and discovering a technology like gunpowder in Civilization V, which granted your nation access to firearms, was always more satisfying than researching “Genetic Mapping” in Civilization: Beyond Earth. And the fact that the enemy leaders were quite bland and that diplomacy was mostly a useless and dull affair meant that dealing with leaders like Kozlov of the Slavic Federation was not that appealing. At times, the feeling of loneliness was excruciating. Also interesting is that leader’s traits will change dynamically during the game, which should definitely help make diplomacy more interesting, and the new factions. Of the four new factions in the Rising Tide expansion, perhaps the Middle Eastern Al Falah faction is the most noteworthy, as according to Firaxis’ website they are “nomadic explorers”. Perhaps this faction plays similar to Venice in Civilization V, which could not build new cities or annex them, and had to expand via military conquest (although the Venetian faction was also good at amassing gold and using coin to achieve it’s goals). All in all, it looks like this expansion could do for Civilization: Beyond Earth what the acclaimed Brave New World expansion did for Civilization V, which turned that game into one of the best turn-based strategy ever made. 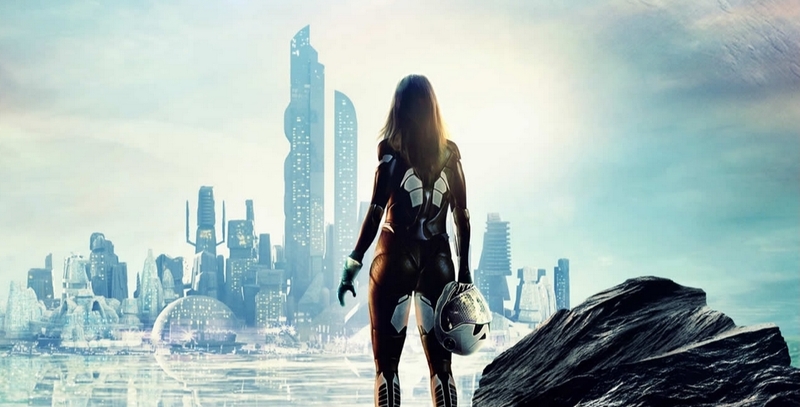 Although fans of the Civilization series will have to wait until October the 9th to find out whether Firaxis’ Rising Tide expansion truly turns Civilization: Beyond Earth into a great strategy game. Note: Civilization: Beyond Earth – Rising Tide will be released on October 9, 2015. The expansion will be available on PC (can be purchased on Steam or retail).